Q1: What do I do if I don’t want to send my child out for tuitions? 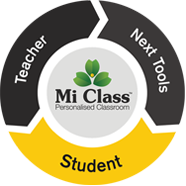 We are working on another offering called Mi Class@Home. We plan to have this ready by April 2012. You will need to invest in a personal computer at home for your child. We will provide you a trained teacher at home, along with a kit of Next digital tools and technologies. We would, however, recommend that you send your child to the NLC Mi Class for about two days a week to gain the benefits of the classes on life skills. Life skills are best developed through group interactions. Q2: What will my child learn at the Finishing School? For more details, refer to NLC FAQ. Q3: Why is the Finishing School scheduled for Saturdays only? The Finishing School is scheduled for Saturdays because most students are free from school on Saturday afternoons. Students of all classes from classes III to X can attend the sessions at this school together. Q4: Why aren’t the students in the Finishing School segregated based on their age or class? Taking the students out of their comfort zone and enabling them to mix with students of other, varied age groups is a part of the strategy of imparting in them Next Generations skills. Working in such groups will help them overcome their inhibitions and enhance their confidence in communicating and sharing with students from all age groups. Q5: What kind of tools would you use to build up communication and collaborative skills? Communication and collaboration skills are developed through hands-on learning strategies and labs. Refer to NLC FAQ for details. © Next Education India Private Limited.